As some of you might know, I curate a weekly newsletter called Web Tools Weekly, in which I feature dozens of links every week to new tools, mostly focusing on stuff that's useful for front-end developers. So it's an understatement to say that I've come across lots of new tools over the past 12 months. As I've done in years past, I've put together a brief look at some of my favorite finds in front-end tools. And please note that this is not a list of the "best" or "most popular" tools of 2017 – this has nothing to do with popularity or number of GitHub stars. These are tools I believe are unique, interesting, and practical – but not necessarily all that well-known. They are some of my personal favorite finds of the year, nothing more. When working on a new project, especially a large and lengthy one, it's easy to forget the number of changes the project's layout has gone through. 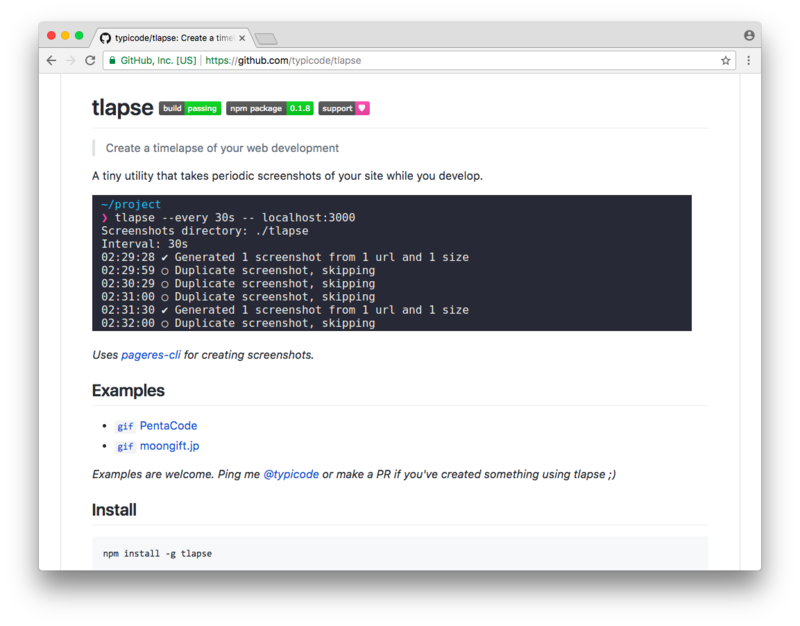 tlapse is a command-line utility that allows you to set up automated screenshots of your work at specified intervals, essentially giving you a visual timeline of your development in the form of a series of screenshots. The project has 1,100+ stars on GitHub, so it seems developers are finding a valid use for this, even though it seems a little narcissistic at first glance. Besides the novelty of being able to look back at the progress of your project, I suppose tlapse could also be used to send visual progress reports to clients, project managers, or other development team members. 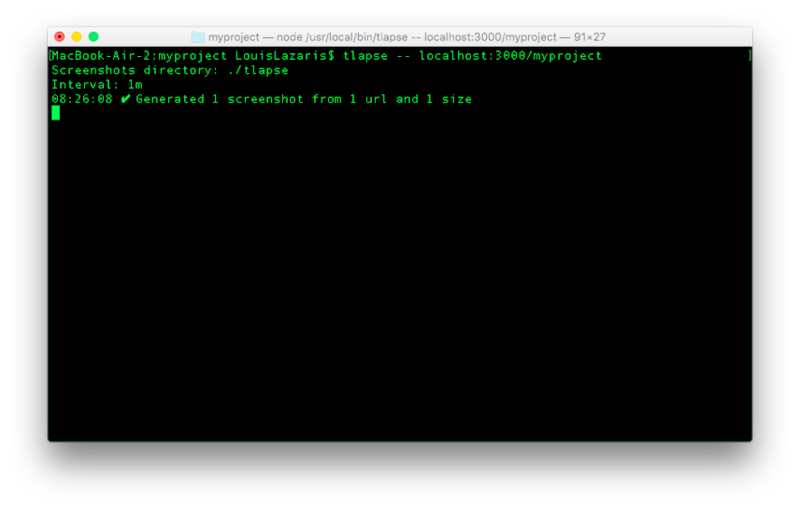 Overall, this is an easy to use tool, even for those not very comfortable with the command line, and there are certainly some use cases for wanting to take screenshots of work in progress. 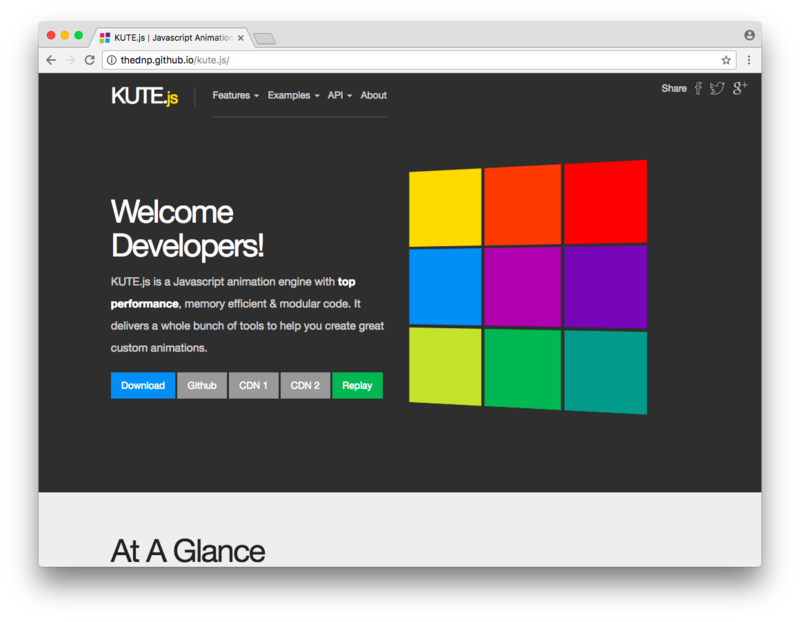 The moment you visit the KUTE.js home page, you're greeted with a colorful, complex, super-smooth animation, testifying to the truth of this tool's claims. The above example creates a fromTo() tween with various options. Inside fromTo() I've specified the selector for the target element, the start and end values for the property being animated, and a callback function to execute when the animation is complete. You can also create tweens using to(), allTo(), and allFromTo(), with the latter methods letting you apply animations to collections of objects. I've only scratched the surface of the features available. The documentation on the site is good, so check that out for the full API. The CodePen below is based on one of the demos from the API docs, which uses the .chain() method to chain multiple transform animations. See the Pen Chain Transform Animations with KUTE.js by Louis Lazaris (@impressivewebs) on CodePen. Scrolling libraries have been popular for some time now. 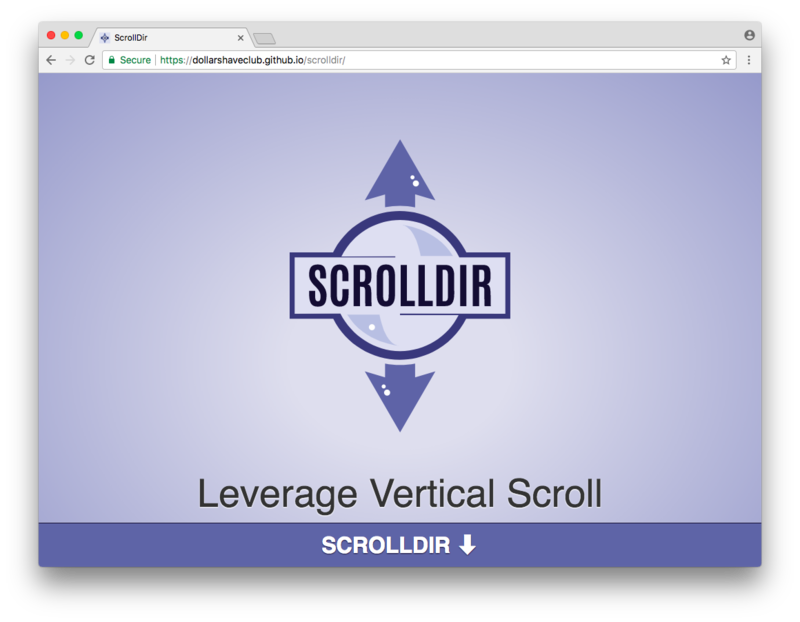 ScrollDir, from the developers at Dollar Shave Club, is a really simple, tiny, and intuitive utility to help you do a couple of simple things with scroll detection. It defaults to "down" when the page hasn't yet been scrolled, although it seems like it could benefit from having a "neutral" class as a third optional state. See the Pen ScrollDir basic demo by Louis Lazaris (@impressivewebs) on CodePen. ScrollDir offers a few minor API options if you choose to use the non-auto version of the script. In either case it's dead simple to use and I'm sure will come in handy if you're building something that needs changes to occur on the page based on scroll direction. Due to the popularity of web app development using libraries like React and Vue, a number of different IDEs and other code tools have come on the scene, aimed at helping developers who are working with a specific library or framework. 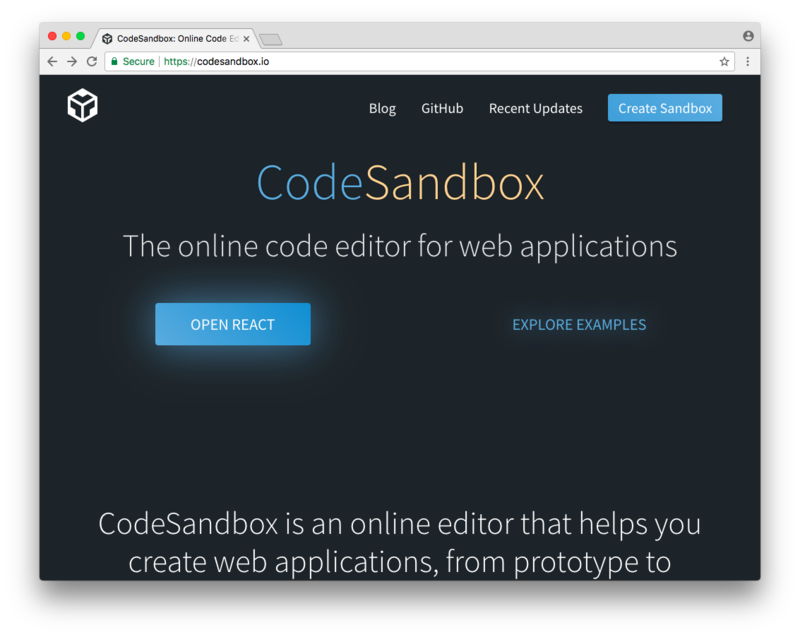 CodeSandbox is an online code editor for four of the current big players: React, Vue, Preact, and Svelte. This tool is somewhat in the same category as CodePen Projects, but is specifically designed for each of the four aforementioned libraries. Notice the project still had a missing dependency, which I was able to install instantly. Here's the CodeSandbox link to my version of that project. Like many native IDEs, this allows you to be able to track down a function's source, for quicker debugging and whatnot. There are also some clean inline code completion features, just like a native IDE. There are tons more features I haven't discussed here – including GitHub integration, deployment via ZEIT, and lots more – so be sure to poke around the different panels to get a feel for what you can do. AmplitudeJS is a dependency-free (we like that nowadays don't we?) HTML5 audio player "for the modern web". I think a lot of independent hobby-driven music makers with web development experience will appreciate this one for a number of reasons. See the Pen LeEgyj by Louis Lazaris (@impressivewebs) on CodePen. In terms of configuring AmplitudeJS, here are some of the highlights. Notice the amplitude-song-info attribute, which defines which bit of data you want to inject into that element. You wouldn't necessarily use paragraphs, but that's one way to do it. You can see this in action in this CodePen demo. You can see this in action in this CodePen. I've incorporated a rudimentary play/pause button to help with the callbacks. To see the final callback, you have to wait for the song to complete (pausing doesn't trigger the after_stop callback). The button is built using nothing but a few HTML attributes, no extra scripting needed. This is a really small sampling of what's possible with this player and how flexible it is. The docs are solid and should get you up and running with this tool in no time. BunnyJS –An ES6-based front-end framework that advertises as "Simple like jQuery, better then jQuery UI, powerful like React". keyframes-tool –A command line tool to convert CSS animations to a keyframes object suitable for use with the Web Animations API. Konsul – A React renderer that renders to the browser's developer tools console. across-tabs – Easy communication between cross-origin browser tabs. svgi – A CLI tool to inspect the content of SVG files, providing information on the SVG (number of nodes, paths, containers, shapes, tree hierarchy, etc). What's Your Favorite Find of the Year? So that's it. As I said at the start, this was not meant to be an awards ceremony for best tools of the year, but more of a look at some not-so-mainstream alternatives that are interesting and practical. I hope you find some of them useful. If you're interested in continuing to keep up with the influx of new tools in front-end development, be sure to subscribe to my newsletter. Have you stumbled upon (or built) something cool over the past year that would be of interest to front-end developers? Let me know in the comments, I'd love to take a look. I’m building a browser for front-end developers and designers called Polypane, that I think is pretty cool :) It shows your website in all the responsive breakpoints you need (either based on your css breakpoints, or on a list of devices) at once, has all the devtools you expect, and can generate overview screenshots for you. Oh, and the beta is a free download! Great! It’s always good to know some new useful front-end tools… thanks for sharing these links! Hi, , I built a little aspect ratio calculator, https://aspectrat.io, that lets you quickly calculate aspect ratios and scale them as you need. Along with a device resolutions reference for common aspect ratios and devices. Hope it’s as helpful for others as it has been for me. Hey, super cool tool ! Cool tools. 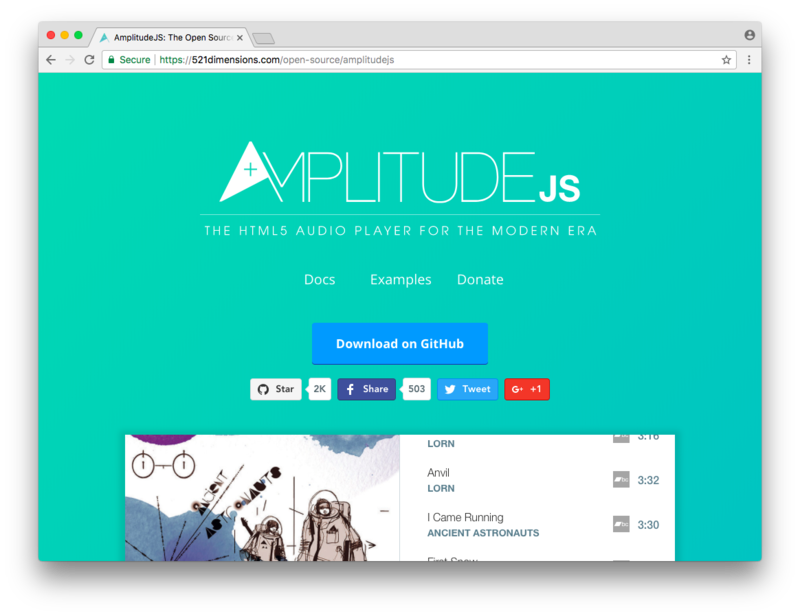 Excited to try AmplitudeJS on an upcoming website I’m working on. Hi, I recently built and upload “yet another” CSS editor : http://www.acrylicss.com/. On AcryliCSS, you can directly modify shape, position and color of an HTML div by using different tools. put-version is a nice tool for putting the version number from package.json as a parameter to each CSS and JS reference in a HTML document. This way you can work around the caching behavior of browsers and can make sure that users will get the latest versions.